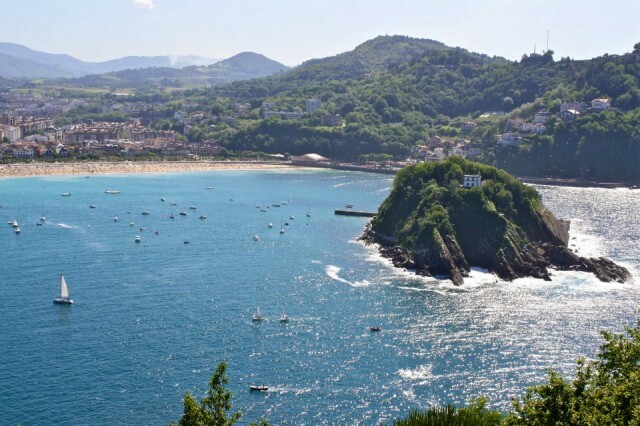 Coastal Spanish house prices have fallen significantly more than the national average, but prices in some areas are beginning to stabilise, with thanks due to foreign demand, according to the latest report by appraisal company Tinsa, on Spain’s coastal housing market. The report, entitled ‘Spanish Coast 2014’, was released late last month (June 2014), and reveals that house prices on the coast have fallen 47.7 per cent since they peaked in 2007, compared to a national average 40 per cent drop in the same period of time. Prices of coastal properties are in the process of stabilising, although sales volumes are still somewhat short of projected figures under normal market conditions, and the market is now heavily relying on foreign demand, Tinsa explained. Some regions, such as Malaga and the Costa del Sol are showing clear signs of stabilisation, as are other coastal areas such as the Costa Blanca and the Catalan Costa Dorada and Costa Brava. Coast-wise, the smallest annualised real estate price declines by province clocked up in this years opening quarter were in Galicia’s La Coruna (-0.9%), Malaga (-1.1%), Mallorca (-3.4%), Almeria (-3.8%) and Ibiza and Formentera (-3.8%). The biggest falls witnessed were in Galicia’s Lugo province (-15.1%), Fuerteventura in the canary islands (-11.9%), Valencia province (-11.8%), Huelva/Costa de la Luz (-11.4%), and Castellon/Costa del Azahar (-11.2%). One of the positive signs highlighted by Tinsa is the first signs of new construction appearing on the coast after five years or more of crisis that has left the coast littered with the unsightly blemishes of unfinished and half-built failed developments and construction sites. For example, on Alicante’s Costa Blanca, planning approvals rose by more than half (57 per cent), in 2013, and the trend is showing signs that it will continue in to 2014. However, the average sale time or coastal properties is still longer than twelve months, although the time is compressing due in part to the aggressive discounts put in place by the banks in an effort to dump their stocks of repossessed houses. Despite the economic crisis and a shocking 26 per cent unemployment rate, Spaniards are still the biggest purchasers of coastal holiday homes in Spain, but foreign buyers are increasingly growing in importance, according to the Tinsa Report. Buyers from Eastern Europe and Russia are beginning to play a leading role in desirable, upmarket segments of the Costa del Sol and Costa Brava. In 2013, over 35 percent of all purchases in the provinces of Alicante, Girona, the Balearics, Santa Cruz and Malaga were bought by foreign investors. In the first quarter of this year, the percentage of purchases by foreign buyers has risen significantly in Tarragona, Santa Cruz de Tenerife and Malaga, with figures of 51, 44 and 38 per cent respectively. According to Ron Wilkinson, Spanish property expert at Alta Vista Property, this trend is expected to continue, with the rising number of foreign buyers helping to re-stabilise the Spanish market and hopefully pushing prices up once more. Bradley Shore is a blogger with a lot of exeperience in the fields of property and investment. He likes to educate his readership and enjoys engaging in debate about these subjects. You can check out more of his work on his twitter page.